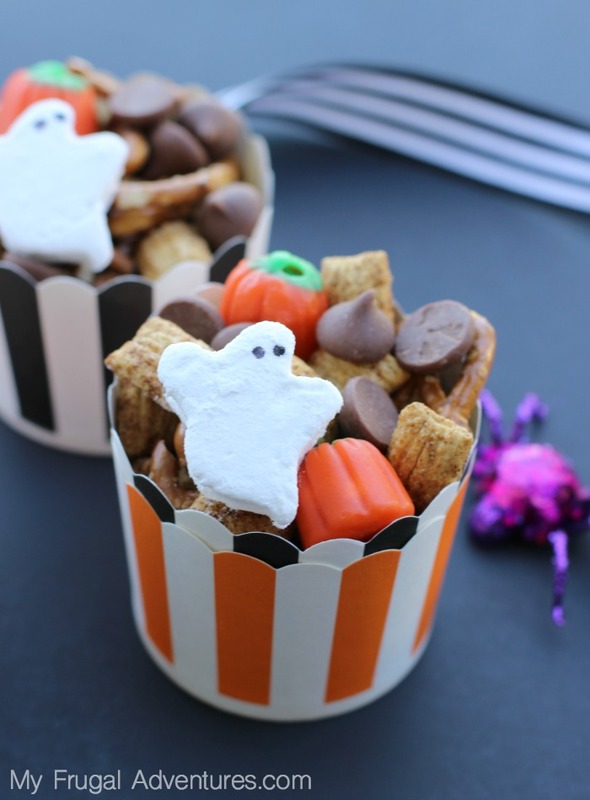 I have a cute and simple treat idea for Halloween that is super versatile. 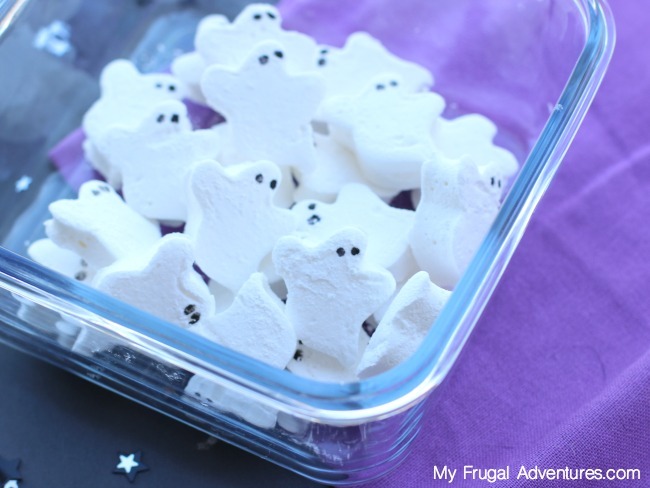 Make these adorable little ghost marshmallows and use them for hot chocolate, S’mores or a fun little snack mix. 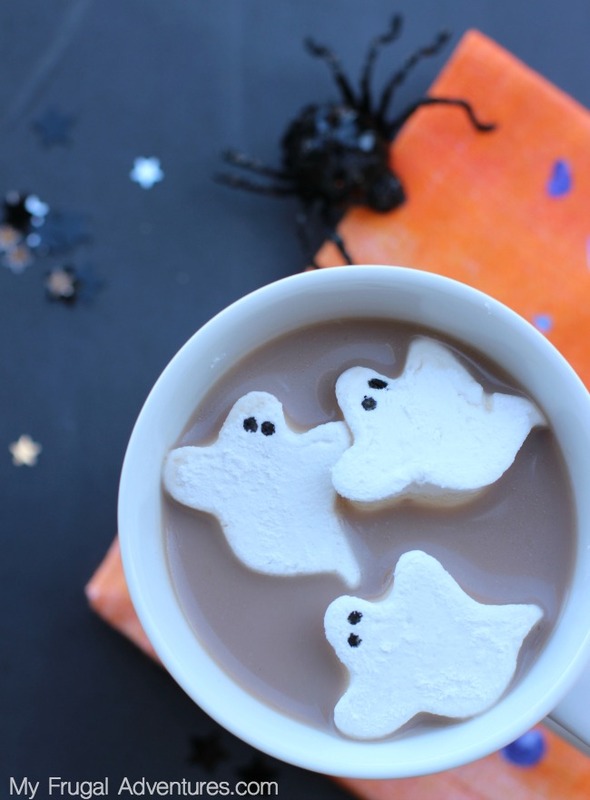 This recipe makes a ton of ghosts- I would say at least 50 depending on the size of your cookie cutter. 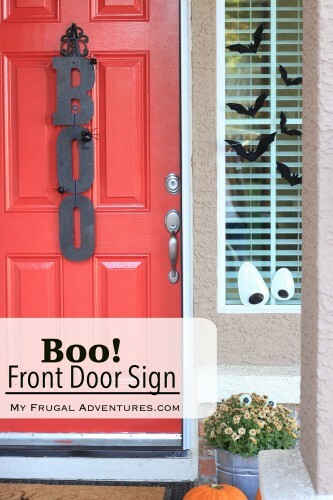 You can pack them up as gifts or use them for parties. 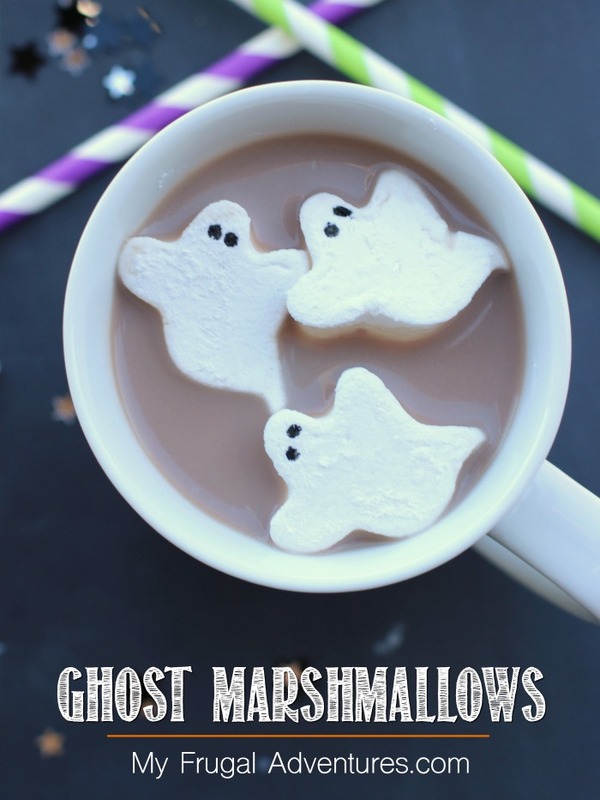 So to make marshmallows seems like it might be complicated but it is actually quite simple and only requires a few ingredients. You can find the recipe to make homemade marshmallows here. The only modification I made to this recipe is just making the marshmallow layer slightly thinner. I actually spread my mixture into two well buttered casserole dishes. Once you make the marshmallows and spread them into your baking sheet or casserole dishes and allow them to sit for at least a few hours (preferably overnight.) 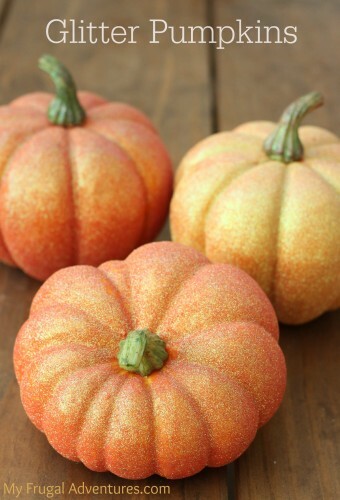 I like to transfer the mixture onto a cutting board or a piece of parchment, generously sprinkled with powdered sugar. 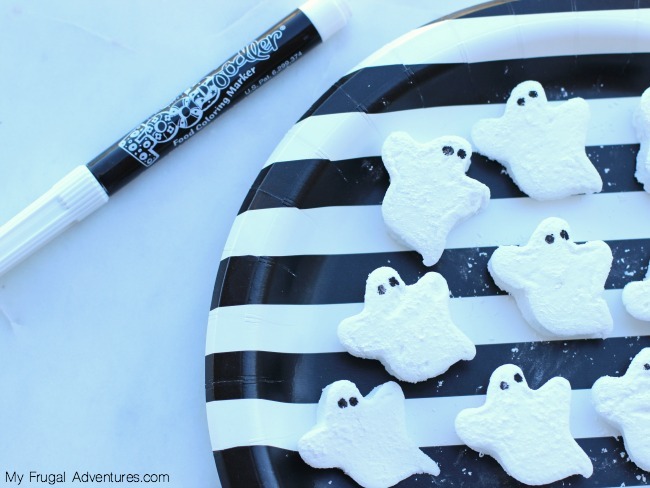 Sprinkle more powdered sugar on top of your marshmallows and use a ghost cookie cutter to cut shapes from your marshmallow mixture. 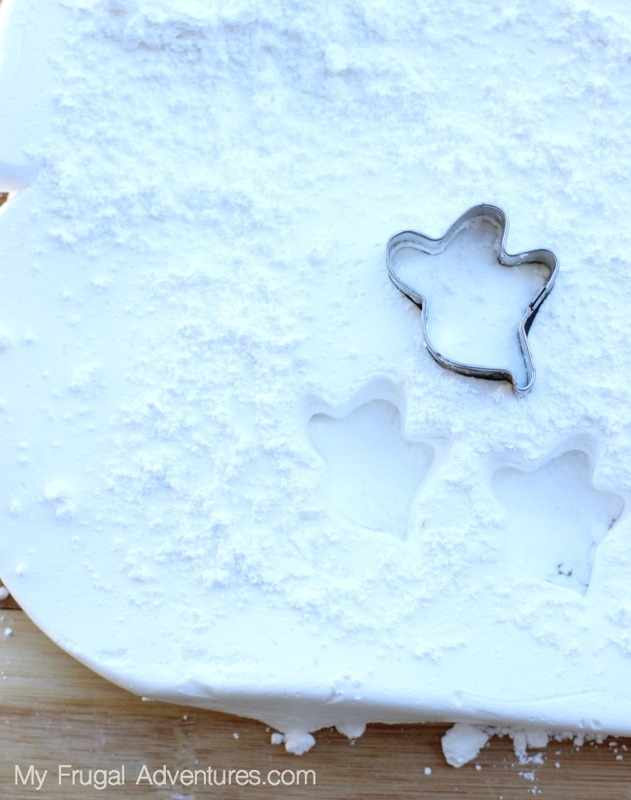 If you find the cookie cutter sitting to the mixture just keep dabbing the cutter into a bowl of powdered sugar before pressing it into the marshmallow mixture. A little tip if you use a gel frosting- I found it difficult to dab small black dots. I found it easier to get a clean dot by squeezing the gel onto a plate and dabbing the blunt end of a skewer into the gel and using that to dot the eyes. And now you are done! These really are incredibly simple to make and can be stored in an airtight container or in a large zip top bag for several weeks. And one last little note. 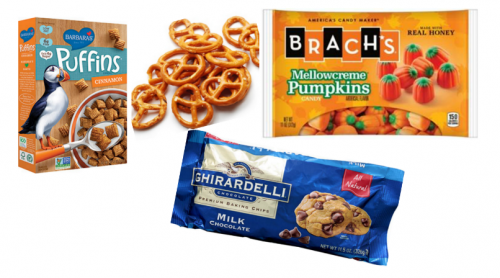 For the snack mix you can mix up anything you might have on hand. Popcorn, Teddy Grahams, Golden Grahams cereal, caramel corn, M&Ms, Chex cereal and on and on and on. 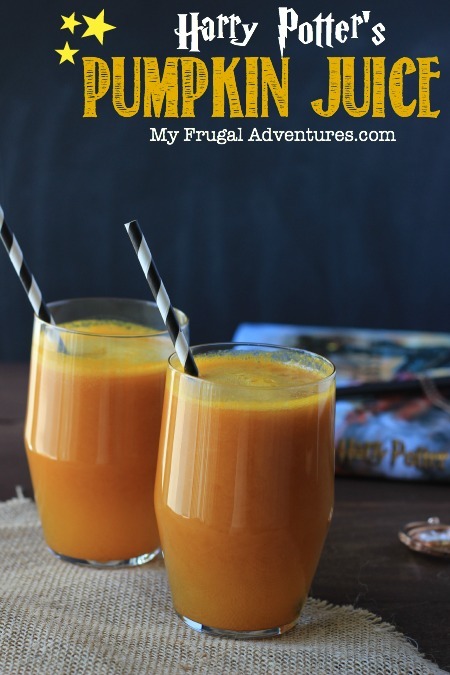 Pumpkin Juice– this is delicious! This is so adorable! Did the marshmallows stick to each other after you cut them out? Hi Christine- they are a little sticky so you see in the photos I sprinkle with confectioner’s sugar and that eliminates the problem entirely :). If it is a big issue you can put them in a baggie and shake it around and then remove and I just blow off the excess.